Headlining Band at the TIN LIZARD on May 3 & 4! 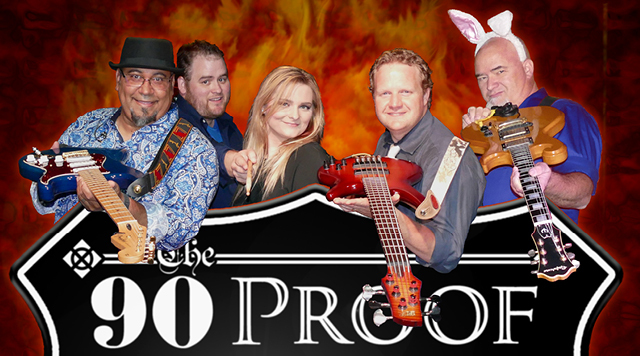 The 90 Proof Project - is one of the most electrifying and energetic bands you'll see. Featuring outrageous props, crazy onstage antics, and a variety of great music raging from current and classic Dance, Rock, Pop, Country and Blues hit. You're sure to love this musical extravaganza. Entertainment schedule subject to change without notice. Seating is limited. Must be 21 or older to attend. Management reserves all rights.